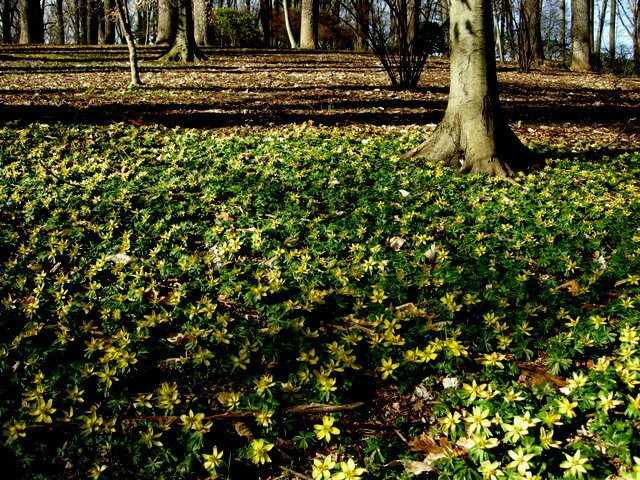 This entry was posted on June 22, 2013 at 3:08 pm and is filed under bulbs for shade, garden to visit, Shade Gardening, Shade Perennials, snowdrops, winter, winter interest with tags Adonis amurensis, Amur adonis, Carolyn's Shade Gardens, Chanticleer, Crocus tommasinianus, Eranthis hyemalis, Galanthus elwesii, Galanthus nivalis 'Viridapice', giant snowdrop, green-tipped snowdrop, Leucojum vernum, Longwood Gardens, snow crocus, spring snowflake, winter aconite, Winterthur. You can follow any responses to this entry through the RSS 2.0 feed. You can leave a response, or trackback from your own site. That is a pretty impressive display. It has to be a beautiful set of gardens all year round. 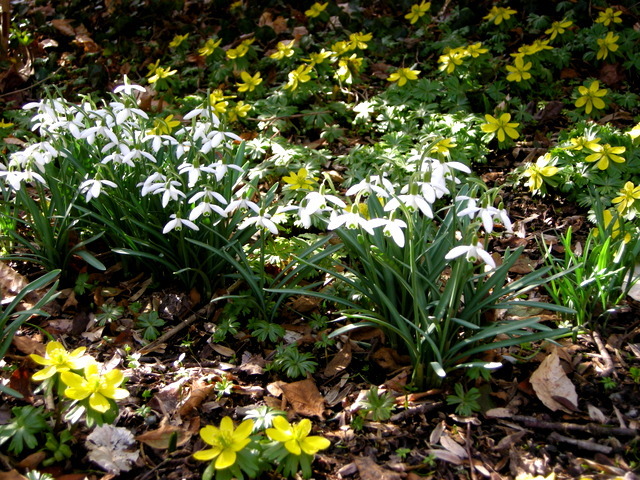 What fantastic drifts of spring bulbs Carolyn, certainly different to see photos of them in June! 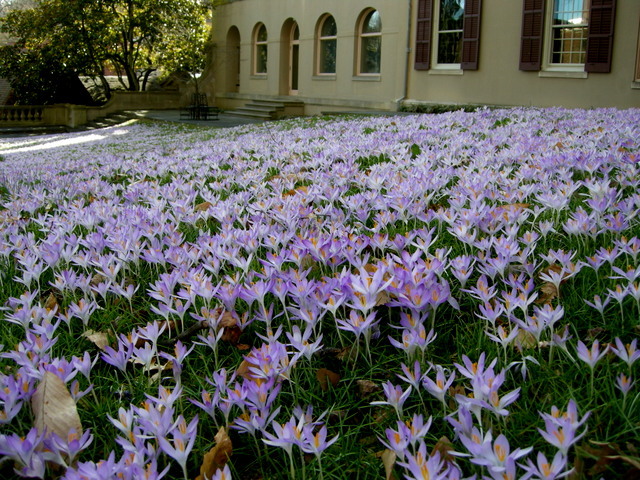 The crocus are wonderful in such a drift, You certainly need lots of space to grow them like that. What fabulous naturalised plantings. Crocus tommasinianus is my favourite Crocus, but I don’t think I’ve ever seen so many growing in one place before. Spectacular. And I’ve just finished harvesting seed capsules and seed from our C. tommasinianus . Like the flowers they seem to emerge in waves, and if you’re not quick all the seed fall to the ground and get lost in the litter (or grass). Why bother? Well partly because I love growing things from seed, also its cheaper and less hard work than planting more corms if you want massed displays, but in addition, if you have issues with squirrels, etc. digging up newly planted corms, this seems to avoid it – even if you do have to wait a few years to get the first flowers! That will be lovely. 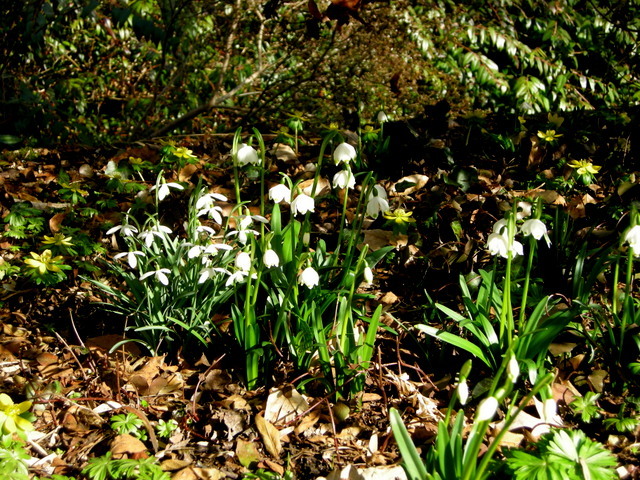 They have done that by themselves in my garden and I enjoy finding new locations every spring. Great article Carolyn, I have seen the March bank in all of its glory and was definitely worth the visit. Was unaware of the Crocus tommasianus on the other side!! Will plan a visit for March and check it all out. 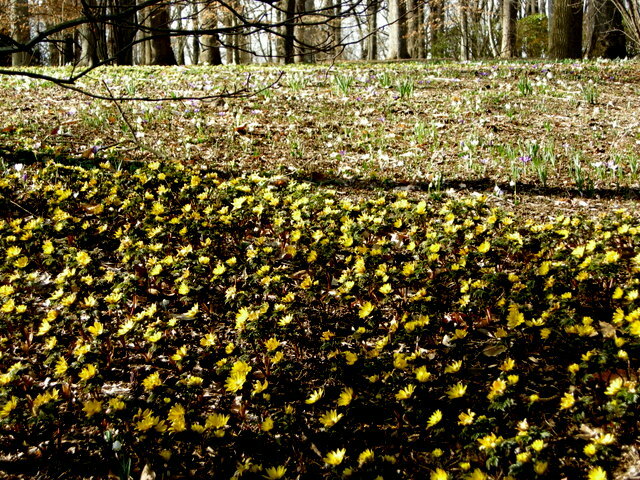 Great display of the snow crocus but the Winter aconite bed caught my attention. It must be wonderful to be so close to so many fabulous gardens. 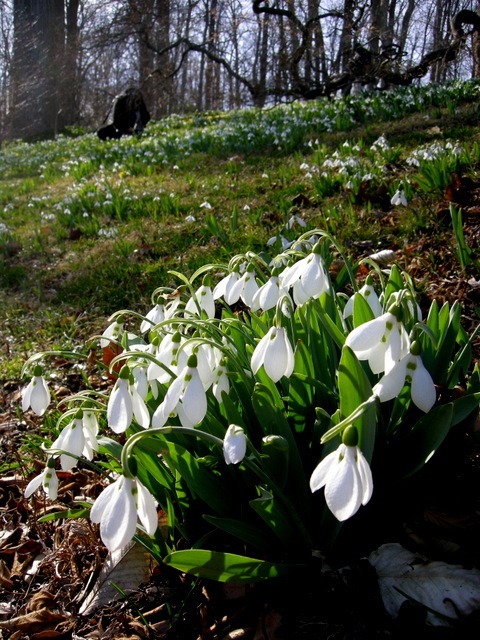 Love all the snowdrops, and oh! the crocus! What an amazing lawn! Carolyn I love this idea of visiting a wonderful garden through the seasons and I really enjoyed seeing early spring again…it made me smile…have fun at the fling and perhaps I will be able to visit one of these gardens through the seasons. Of course your garden is first. It does look very beautiful there! 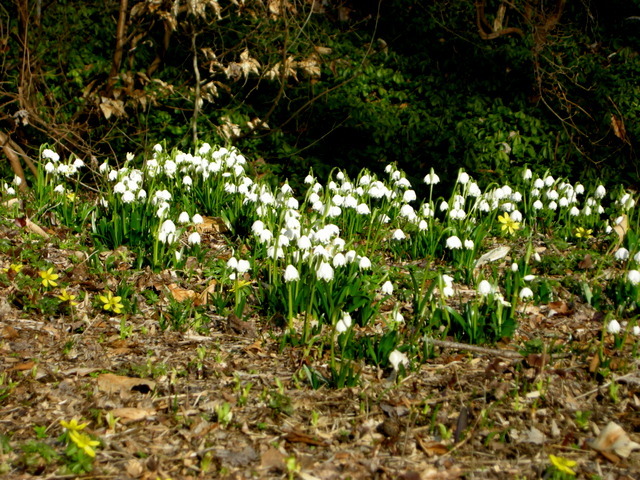 I can only imagine the beauty of all those spring bulbs en masse like that! Someday I’ll make a trip up that way. 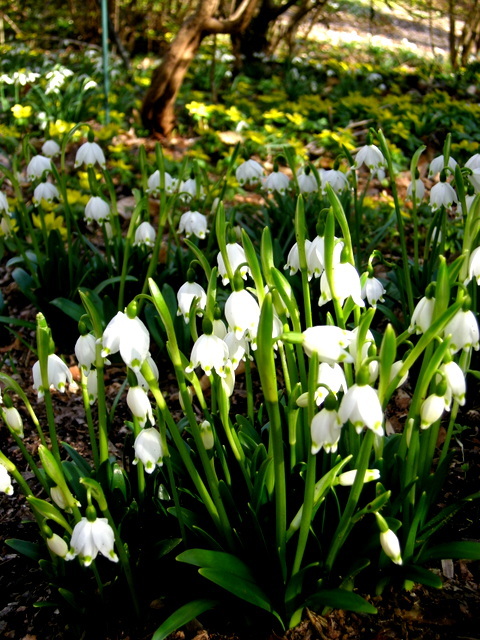 I wish the photos could do the snowdrops justice, they are amazing. 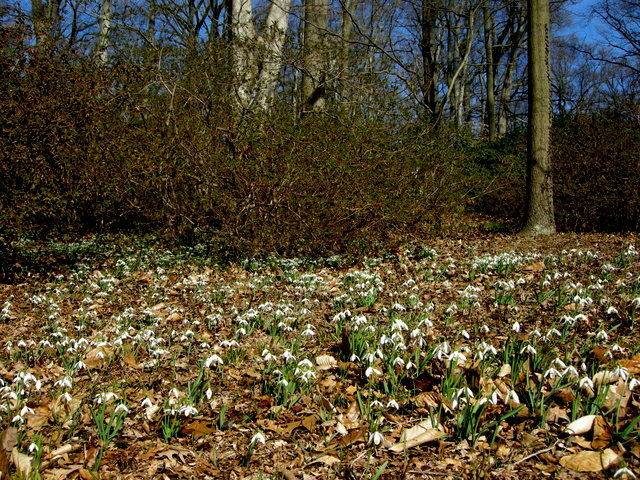 I was at Winterthur that day for the snowdrop ‘festival’ and went on the tour after Alan Street’s lecture. As we came up the steps to the courtyard everyone gasped at the sight of the carpet of ‘tommies’. 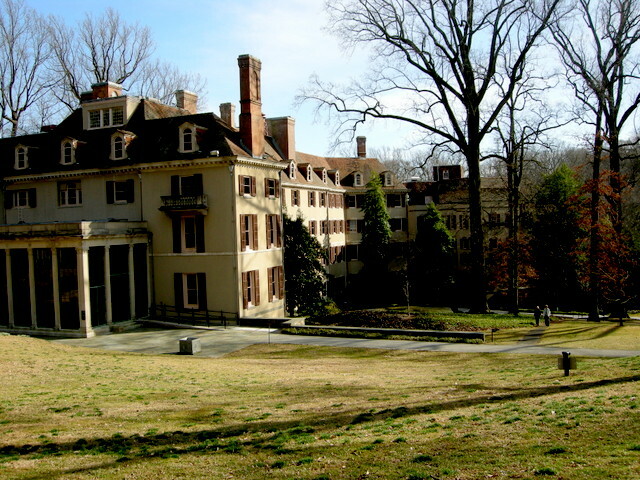 Winterthur is one of my favorite places. 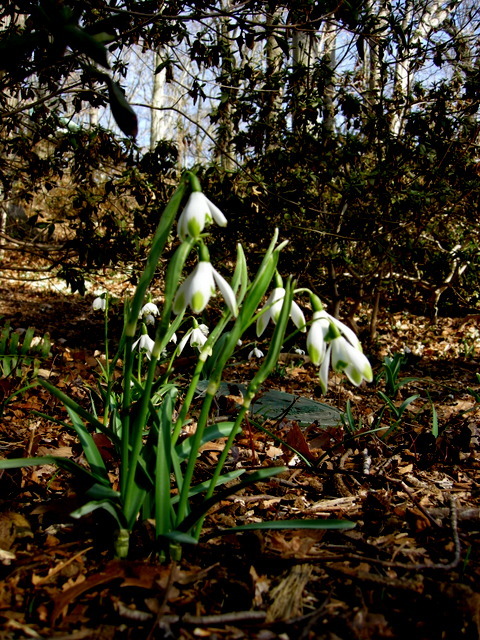 For me gardens are meditative and Winterthur supplies me with peace and serenity. Thanks for the rerun of spring. 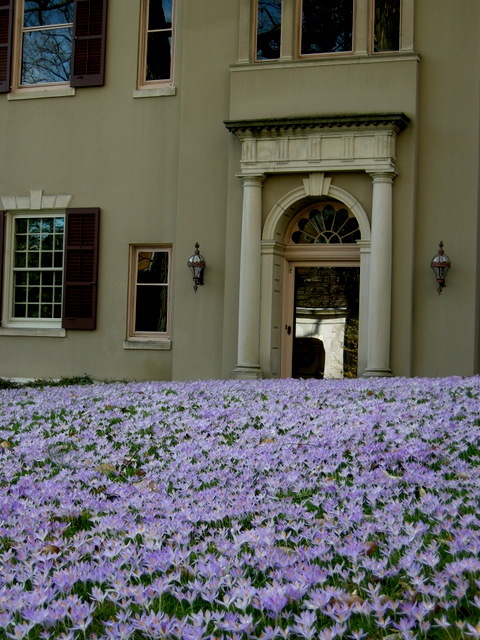 A lovely walk through the gardens… the crocus are divine! 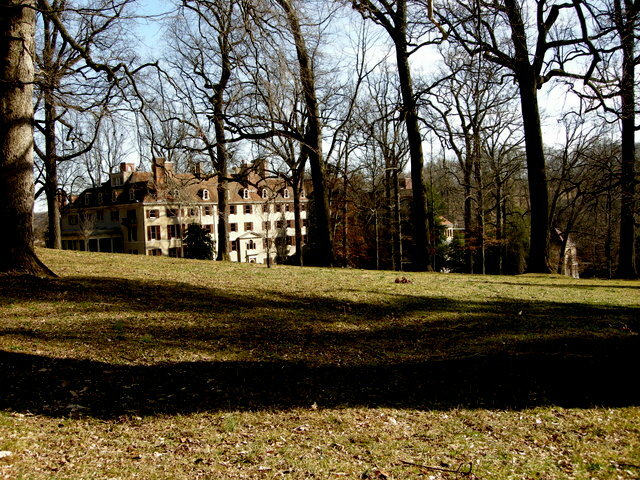 I have heard of Winterthur and can only imagine how gorgeous those woodlands and naturalized areas must be in person! I would love to tour the house as well. Thanks, Carolyn. 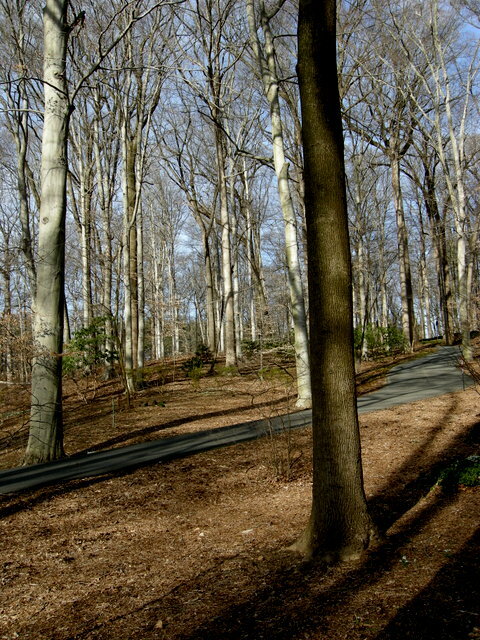 Winterthur is so wonderful even in the winter with the great peaceful trees and especially in the spring with the drifts of naturalized bulbs. 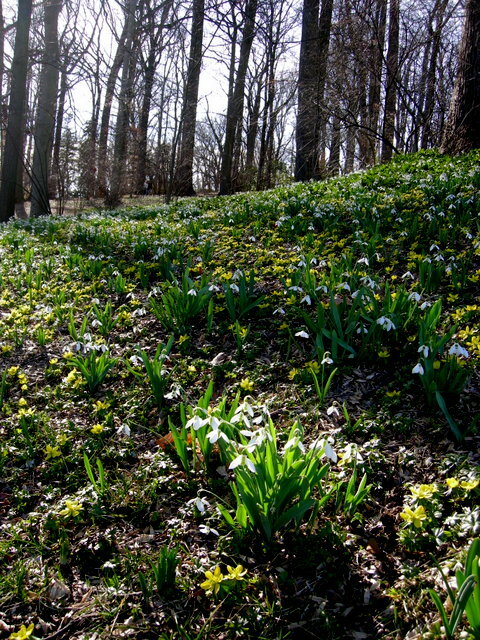 Your pictures inspire and guide me in my bulb orders for this coming fall – a drift or two of naturalized bulbs is a plan! 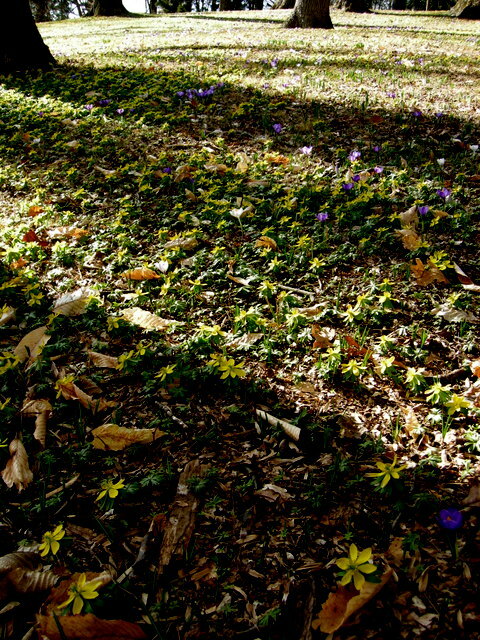 Those crocus shots are gorgeous. Even in winter this property shines with awesome beauty. Thank you for sharing it with us. I enthuse seeing the sheer abandon of the post winter blooms pictured in your post. What is it that brings a natural order here? That house!! wow. it is incredible. and surrounded by what feels like a traditional park space, what a great spot for a walk. delightful!! 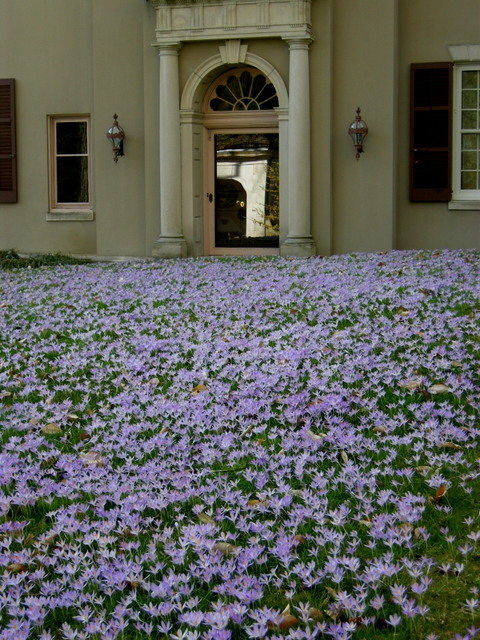 those crocus’ are amazing! 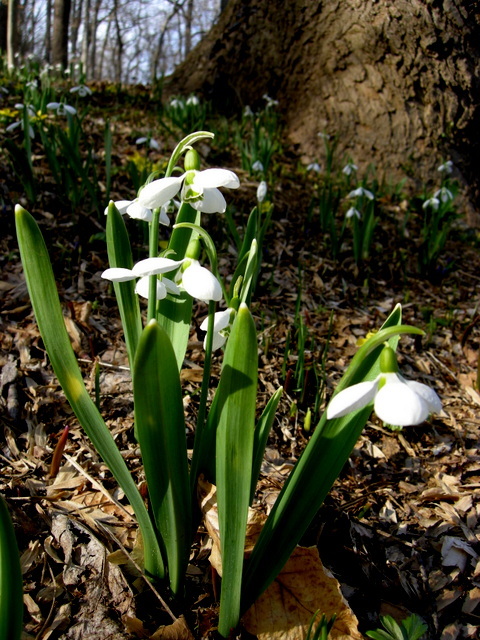 Thanks Winterthur Garden Blog for linking to my post on late winter in your garden. The timing is a little different than last year.